There were five finals today: the men’s 100, women’s 10,000, decathlon, the women’s long jump and the women’s discus. The Moscow sky waited to open up until the marquee event was on the track. Despite the rain, Usain Bolt won his second world title in the 100 with a time of 9.77. American Justin Gatlin, the only man to defeat Bolt this year, finished second with a season’s best time of 9.85. Bolt’s time is his slowest of all his major championships victories, but not all together surprising if you have been paying attention to his season thus far. Prior to this race, he had only broken 9.90 once this year. Add in the absence of his two biggest rivals (Yohan Blake and Tyson Gay) and it was clear anything under 9.80 would bring him gold here. His attention now turns the 200 where his path to victory should be even easier. Nesta Carter finished 3rd in 9.95 giving him his first individual medal at a major championship. All together, it was a big win for Jamaican. Despite missing Blake and Asafa Powell, they went 1-3-4-5. They should have no problem pushing their gold medal streak in the 4 x 100 to five major championships in a row. Before the race, a Tirunesh Dibaba victory was considered a formality. 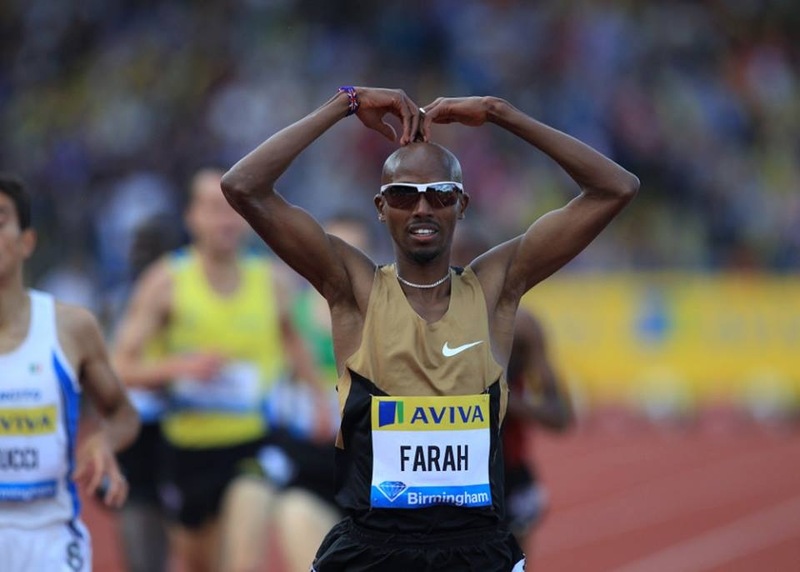 When the Ehtiopian, who is undefeated at the 10,000-meter distance, took the lead at the bell there was no doubt about the outcome. Dibaba ran the final 400 in 59.9 and easily dispatched Gladys Cherono and Belaynesh Oljira. American Shalane Flanagan tried to keep the pace honest and lead for the beginning portion of the race. Once Flanagan drifted back in the pack, and eventually out of contention, Hitomi Niiya of Japan went to the front. Niiya lead until the final lap where Dibaba took command. Despite the work at the front during the hard final miles, Niiiya slid to fifth place and was in tears after the race. Prior to the championships, the Ethiopian federation said that they will permit Dibaba to only run the 10,000 at the World Championships. A baffling decision that is only more perplexing given Dibaba’s form on Sunday. 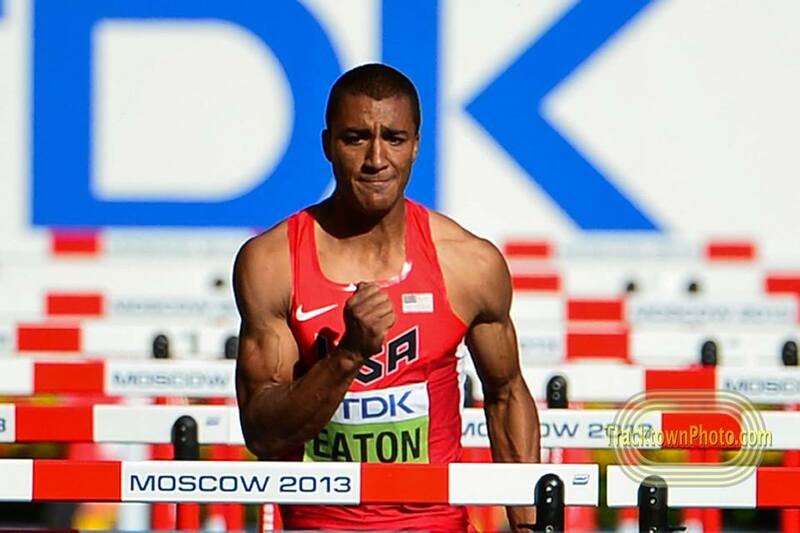 Ashton Eaton won his first World Championship title with a score of 8,809 points. The world record holder answered any questions about his vulnerability in the first event of day two when he won the 110-meter hurdles in 13.72. Michael Schrader of Germany finished second with 8,670 points and Damian Wariner of Canada scored 8,512 points to claim the bronze. 20-year-old American Gunnar Nixon placed 13th after beginning the day in second. Nixon’s drop was expected as he is much stronger on day one. Eaton’s score was a long way off his world record performance at the Olympic Trials last June, but was in the neighborhood of his gold medal winning score of 8,869. Where Eaton goes from here is an interesting question. He has spoken openly about regaining the motivation after his flawless 2012. His performance in Moscow showed he doesn’t need to be at his best to still win gold medals. Brittany Reese won her sixth straight global championship with a second round jump of 7.01 meters. Blessing Okagbare of Nigeria, who is also competing in the 100 and 200, was a close second in 6.99. There is plenty of room to improve for Okagbare whose unorthodox form reminded Sports Illustrated’s Tim Layden of another sprinter who also won a long jump medal. Okagbare reminiscent of Marion Jones in long jump. Fast and powerful w/hideous form. Lands standing straight up. Ivana Spanovic earned the bronze for Serbia and Americans Tori Polk and Janay Deloach-Soukup placed eighth and 11th respectively. Croatian Sandra Perkovic threw 67.99 meters for the gold. Melina Robert-Michon of France set a national record of 66.28 for the silver and veteran Yarelys Barrios of Cuba placed third. The United States got their one expected medal out of the men’s 100 when Justin Gatlin placed second. Mike Rodgers, who had a very promising semifinal, finished sixth in the final. Beating Jamaica in the 4 x 100 now looks out of the question barring a disqualification, but the Americans still look to be the silver medal favorites in the final event of the meet. Many people, including myself, thought Shalane Flanagan could sneak out a bronze in the women’s 10,000. She set the pace early on, but ultimately finished in eighth place. Jordan Hasay and Amy Hastings placed 12th and 14th. The Americans received one medal a piece in the women’s long jump and the decathlon—down from London where they scored two medals in each event. Gia Lewis-Smallwood placed fifth in the discus. In qualifying action, Duane Solomon and Nick Symmonds proved they are bona fide medal favorites in the semifinals of the men’s 800. Solomon won the first heat in 1:43.87 and Symmonds finished a comfortable second in the third section in 1:45.00. The third American entrant, Brandon Johnson, narrowly missed qualifying when he placed a close third in the second heat. 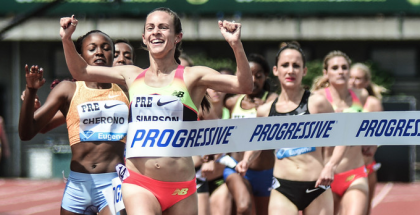 Mary Cain, Jenny Simpson and Sarah Brown all advanced to the semifinals in the women’s 1500. Brown’s performance was especially noteworthy because she was only notified on Thursday that she would be competing in the meet after Treniere Moser withdrew with an injury. On Saturday, Brown’s flight from the United States landed in Moscow and on Sunday morning she was competing in the World Championships. Jenny Simpson had a much less eventful path to the second round. She ran a controlled 4:07 to place second in her heat. Seventeen-year-old Mary Cain made some American distance fans nervous when she trailed off the back in her race, but the high-schooler ran a well timed final 200 meters to grab the last automatic qualifying position. In the men’s 110-meter hurdles, all four Americans won their opening heat. David Oliver ran the fastest time of the day with a 13.05 clocking. Jen Suhr and Brad Walker were the only Americans to make it out of qualifying in the pole vault. Michelle Carter and Tia Brooks both advanced in the women’s shot put. All of the favorites easily advanced in the preliminary round of the women’s 100. English Gardner’s 10.94 was the fastest time of the day. Francena McCorory and Natasha Hastings qualified to the finals of the women’s 400 and all of American made it out of the first round of the men’s 400. Damian Warner’s bronze medal in the decathlon was a pleasant surprise and the first medal of the World Champions for Canada. 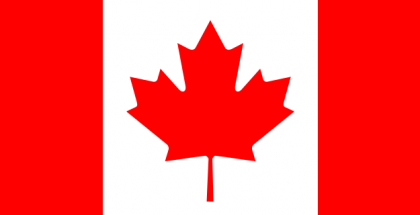 Canada did not send anyone to the final of the men’s 100 or women’s 10,000. Two women, Kate Van Buskirk and Nicole Sifuentes, did advance to the semifinals of the women’s 1500. 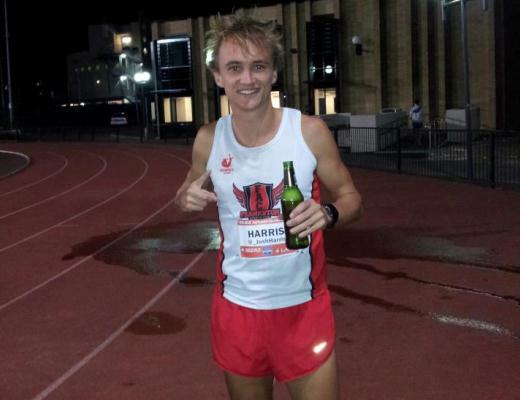 A wide-open competition now that Jessica Ennis-Hill has withdrawn. Can Brianne Thiessen match her husband’s gold medal? France’s Renaud Lavillenie has a shot at the world record and his brother, Valentine, will be desperately after his family’s approval. I can only assume. Valerie Adams will cruise, but Michelle Carter gives the United States a good medal opportunity. No Americans made the final. Read Martin Bingisser’s preview here. Amantle Montsho comes in as the favorite and will be joined by two Americans, two Russians, two Jamaicans and Christine Ohuruogu. Can Shelly-Ann Fraser-Pryce make it two 100-meter gold medals for the Jamaicans? Evan Jager should advance easily in the men’s steeplechase as should all seven American entrants in the men’s and women’s 400-meter hurdles. Men’s discus also on tap.